Monroe, NY is a growing town in Orange County, NY considered the metropolitan area. Many people have moved to the area over the years due to the beautiful scenary, great schools, cost of living, close to all highways and transportation and only less than an hour to New York City. Being born and raised in Monroe, NY we have seen many changes to the area and substantial growth that has strengthened our community. 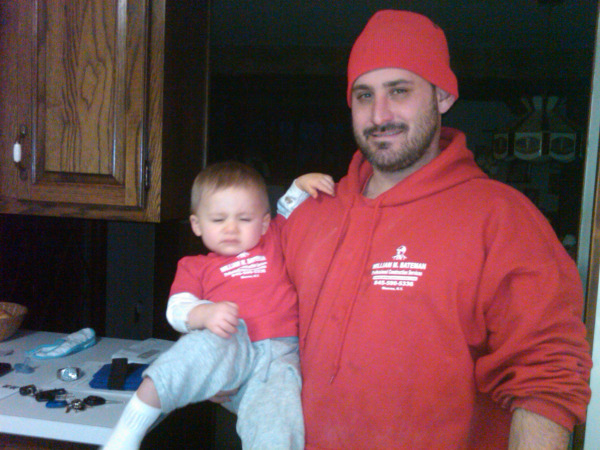 Its a great place to raise a family and for us to grow a business of over 40 years in the construction industry. The structure of the town is mostly hard working middle class that dwell here making for a great atomosphere with great neighbors. Most people in the area own homes and as with any home, homes require maintainance. Many homeowners also want to remodel their home to increase the value and give it their own personal touch. WMB Construction has been making these dreams become reality for many years in the area. When choosing a contractor it is usually peace in mind to hire someone that has been local based serving the area for many years. Over the years we have seen many contractors come and go, start under different names and disappear. New to the area or not it is a good thing to do your research on many of these contractors before hiring one to come into your own personal home. We all work hard for our money and want to get the best out of it with a competitive price from a competant contractor. For most of us purchasing a home will be one of the largest investments you will make in your life. It takes lots of preplanning, negotiation and work to get into the home of your dreams. Purchasing a home is part of the American dream that starts as a dream at a very young age when growing up with your family and wanting the same things when you grow older. Now the time has come and you are the proud owners of a home to start your life. A home brings much happiness and goals in life; a roof over your head, bathroom for personal hygeine, a kitchen to feed your family, a dining room for eating and entertaining, a backyard........... You get the point!!! With a home and family also comes a busy life, especially when kids come into the picture. Between cooking, cutting grass, cleaning, etc. ; time becomes limited. So basically that is what most of us strive for in society, that crazy life!!! Sounds crazy but for centuries that has been the way of life and there is no greater satisfaction than creating and achieving what you have worked so hard at. Now with anything in life, including our own bodies and health, you need maintainance. Owning a home comes with responsibility and upkeep over the years you own your property. 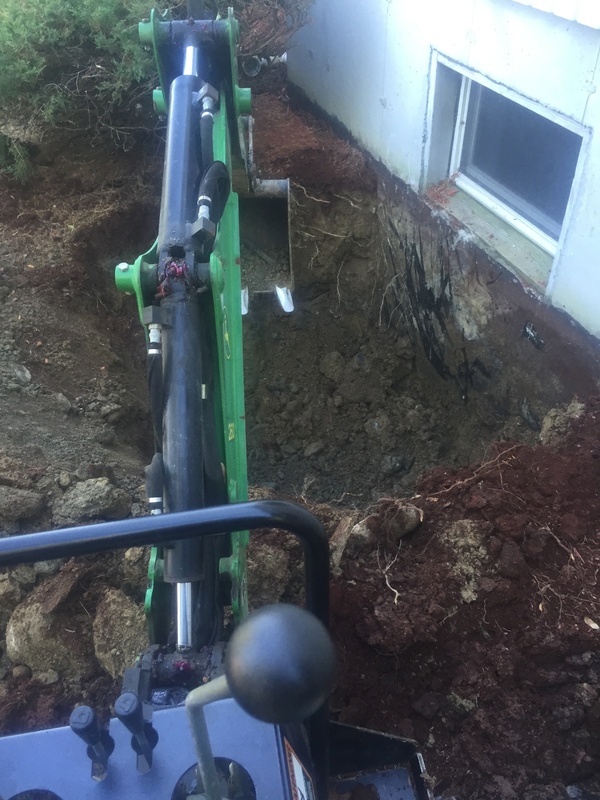 Wheather it may be a broken pipe that may pop up or a renovation to enhance your home, choosing the right contractor for these issues/upgrades is a necessity. With so many fly by night contractors it is good to do your homework to protect yourself and your investment. 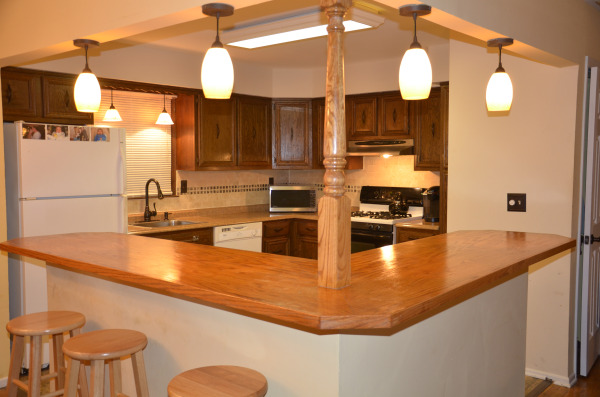 There are many different enhancements you can perform to your home. Every upgrade you make increases the value of your home and gets you closer to the home you always wanted and dreamed of. Working with a good contractor can make this a fun and painless experience from picking out the decor you want to seeing your project from start to finish. Here at WMB CONSTRUCTION we specialize in happy customers and creating lasting, breathtaking results. 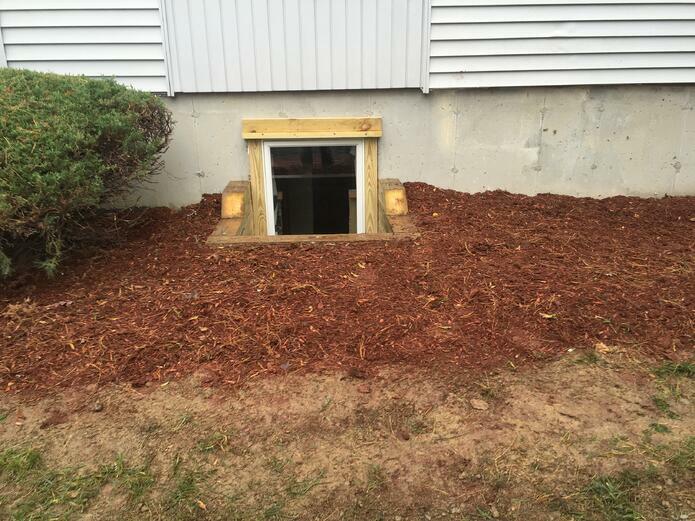 Its becoming more common around the country for customers to be installing egress windows in their basements. National code has been in effect for years requiring an egress window for safety measures for you and your family. 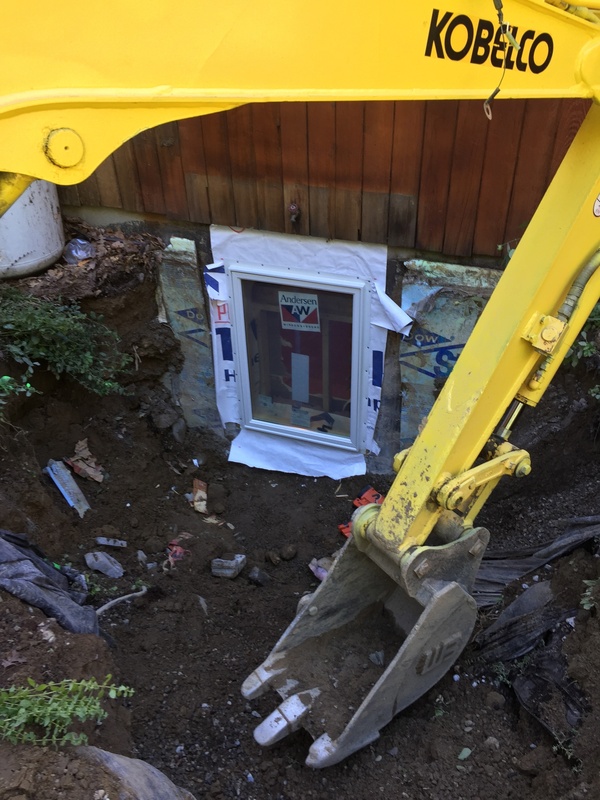 Most recently in the past few years we have noticed a rise in egress window installations due to the fact that local building departments have been forcing them more and violations are being issued to customers that dont have one. These violations mostly come up when buying/selling a home, finishing basement or refinancing forcing the customer to install one in a timely matter before you can sell or do any other work to your basement. Most of customers we experience wait until they are selling their home to install an egress window which holds up the closing process on both ends of the buyer/seller. Once installed every customer realizes the benefits and wishes they had installed one sooner. Its usually a 2-5 installation process that is done 90% from the exterior of your home limiting any distraction to your life and home. When buying/selling your home like mentioned before, brings up last minute violations that brings nothing but last minute aggravation. Pre planning your egress window project will eliminate this and save you money without paying for extra violation costs that you local building department may require. Egress windows have national code requirements that must be met before and during the installation. Choosing a good contractor that is fimiliar with these codes is key for an easy and painless installation process. The right equipment is necessary to do the project with the proper machines that will not ruin your property during the process. What are the national codes for egress windows? WMB Construction has been performing egress window installations for years in the Hudson Valley NY region. Contact today to set up your free estimate and we will come out and evaluate and price your project. Winter not too far away and its time to start thinking about how you will get out of your home/business when the storms strike. Here in Orange County, NY we can experience some of the most brutal storms in the country. Mostly we are always on target for the well known Nor' Easters that paralyze our area for days at a time. It is always good to preplan and line up a good snowplowing contractor so you are not left out in the cold this winter, literally. 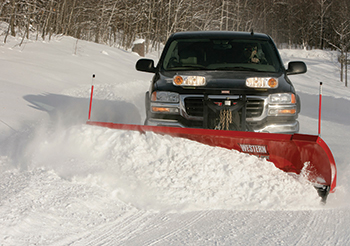 Whether you own a business or a home, snowplowing is a must to ensure you can stay open for business or leave for work in the case of snow. Now for most of us snow is nothing more than a nuisance and most people feel moving snow is a brainless job. 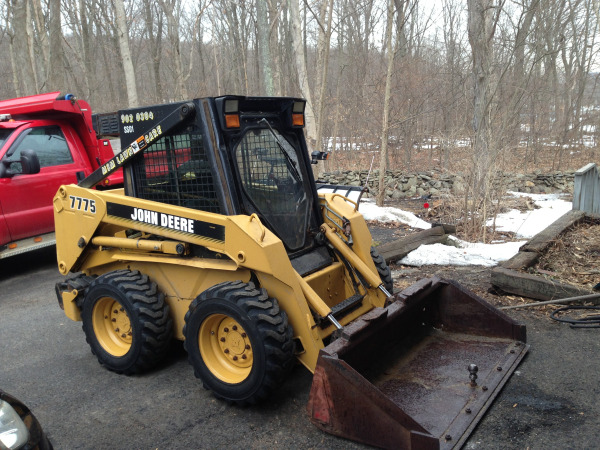 The concept is pretty basic but for a professional company comes a lot of thought and preparation for winters around here way before any snow falls. Early preparation and equipment inspections are crucial to maintaining a reliable fleet that will be able to withstand the forces of nature when it hits. There are many different and types and styles of homes around the world that we all as humans need for survival. Centuries ago the home has evolved from a simple tent, cave, log cabin...... into the modern homes of today with all the ammenities necessary for comfortable living. One of the most genius and popular designs is the Bi-Level home. Its a design that became mostly popular in the 1960's and continues to this day to offer good square footage for comfortable living under a simple and practical design. Bi-Levels offer so many different qualities in a small package that most homes do not. Bigger isn't always better and you want to enjoy your home and family while not having it consume your life with constant cleaning and maintainance. There are many different remodeling options as well with Bi-Levels that can set yours apart from the rest and make it younique. In the photo above we removed wall in between kitchen and living/dining room area. It instantly created an open floor plan with a more pleasing appeal. These walls removed are usually weight bearing so we had to add extra support in the ceiling to ensure the integrity of the homes weight load, especially in the winter months with heavy snow on your roof. 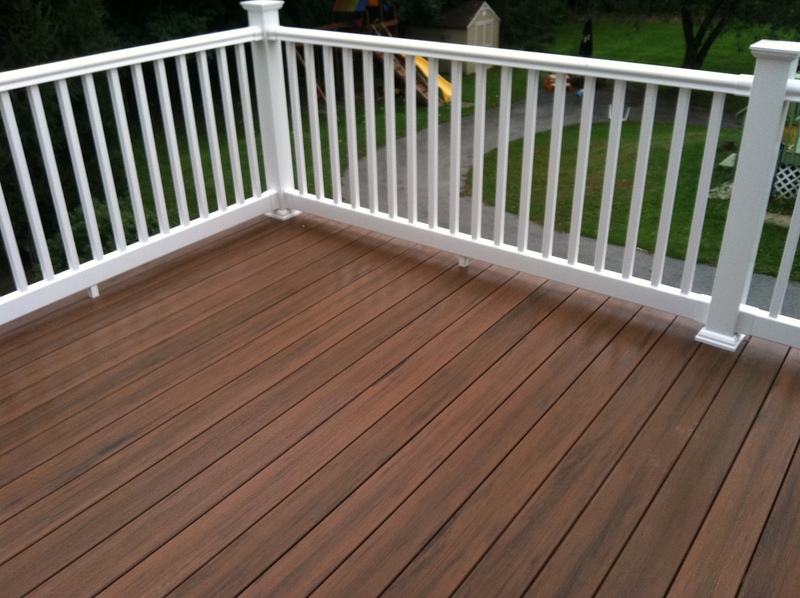 In this photo above we added a fully maintainance free composite deck to replace the smaller old pressure treated deck. Composite decks add a little more money to a deck project over your tradition pressure treated lumber deck but in the long run add low maintainance and adds value to your home instantly. With that being said, pressure treated decks have been around for years and are tried and true. You can easily expect 30 years with the proper maintainance of apply stain every few years. 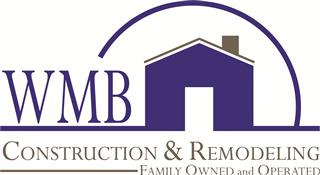 There are many different options for your home to make it the home of your dream and WMB Construction out of Orange County, NY can make those dreams become a reality. With over 30 years in the business we have the ideas and foresight to turn your Bi-Level into your own creation under one small roof. you have come to the right spot!!!!!!! We know all the "in's and outs" when it comes to egress windows!!!! Working out of Monroe.NY for many years, Bill Bateman has performed hundreds of egress window installations over the years helping protect families from harm in the case of a house fire. National code requires all finished basements to have an egress window as a fire escape to protect your loved ones in time of need. Not only for safety reasons, egress windows add a lot more than that to your basement. What are the building codes when installing an egress window? Window must be minimum 5.7 sq. ft. Window well height must not exceed 44"
Added an egress window to your home can be both exciting and stressful! Exciting for the people that want one and stressful for the people trying to sell their home and its holding up your closing. Every town is requiring egress windows and we see that 90% of the time it is when the customer is trying to sell and is in violation. The violation has to be corrected and holds up the sale for both buyer and seller. Contact us today for a free estimate if you are interested in an egress window installation!!!! Are looking for information on the cost and requirements of an egress window? You have came to the right spot!!! We specialize in the installation of egress window and can make it a very pain free process for you. Thank you for viewing our page on egress windows costs and requirements page. Most customers always have concerns when installing an egress window and I hope this page can help you navigate through your project! Adding an egress window to your home can be exciting and stressful at the same point. Exciting for the person that wants to add safety, light and ventilation. Stressful for the person that is looking to sell their home and is in violation because of not having an egress window. Both senarios have nothing but advantages and in the long run add value and safety to your home. Customers always ask what is involved and what is the cost of an egress window. Many different factors play into the cost and installation. On average an egress window ranges 3k-5k within reason. Not a bad investment considering the work involved and what you get for it. Just peace in mind is worth it knowing that your loved ones will be protected in case of an emergency. Minimum net clear opening height of 24"
Minimum net clear opening width of 20"
Here at WMB CONSTRUCTION we pride ourselves in on time quality work here in the Hudson Valley, NY. For all your needs we are here for you! 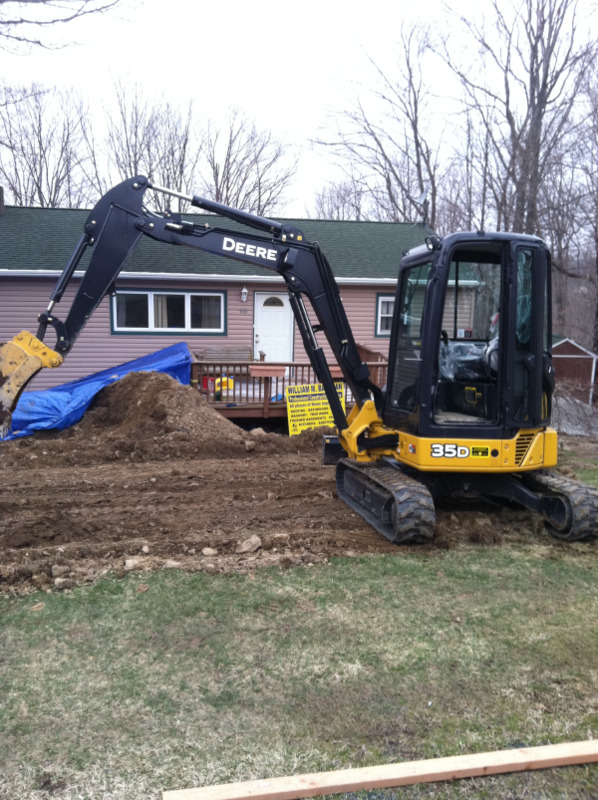 Based out of Monroe, NY; we are your one stop construction company. With that being said, yor home has many needs; roof, siding, kitchen, bathroom, patios, drainage, garage door, finished basement, egress window, anderson windows, pella windows, decks, remodeling, painting, flooring, staining.......etc! 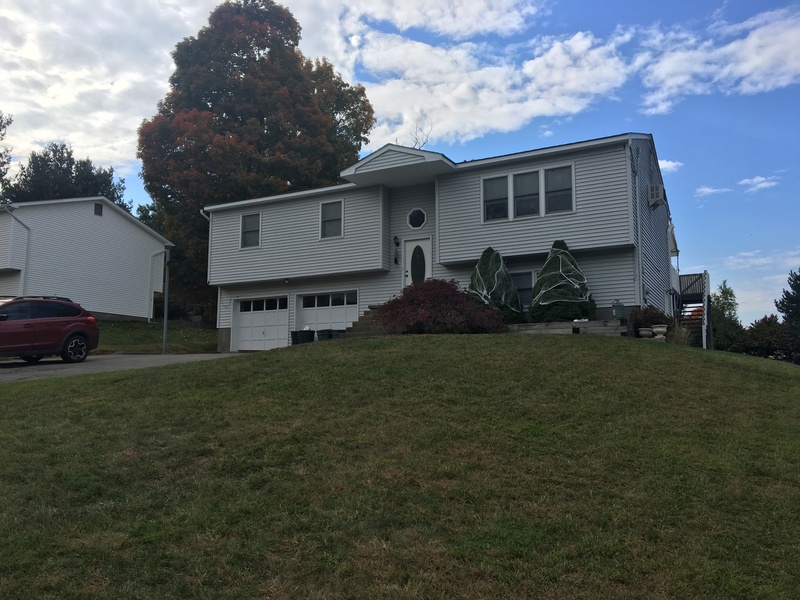 We perform all phases of construction and home remodeling all over Orange County, NY Most of our work is close based due to word of mouth recomendations with repeat customers. We like establishing trust within our customers that lasts a lifetime. Adding an egress window to your home is an excellent idea, opening up your basement to fresh air and light and most importantly the safety of your family and your pets. Across the country it has become a national code and all homes must pass inspection and have an egress window if your basement is finished. Window must have a clear opening of 20"
Sill height of window from inside floor of basement must not exceed 44"
Height inside window well must not exceed 44"
Here at WMBCONSTRUCTION we specialize in installing egress windows and all windows around the beautiful Hudson Valley in Monroe, NY. 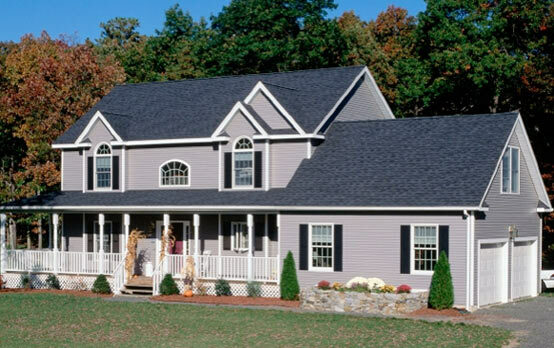 We know what your home means to you and mainly the safety of your family. These codes were put in play for a reason and even in our home town of Orange County, NY we have seen how they have helped save lives during a fire and at the same time improve everyday live when there is no tragedy. We all have bathrooms in our homes and here at WMB CONSTRUCTION we pride ourselves in building and renovating them here in Orange County, NY 10950. Bathroom can range in any shape or size and can have many different features you can add or choose from. Nothing beats a hot shower on a cold morning or cold shower on a hot muggy day. New or old revovation, bathroom designs are always exciting! Every customer has different tastes, wants and needs which makes it exciting for us to create your inside oasis. 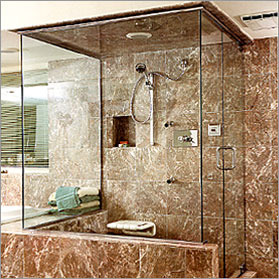 Bathrooms are a part of our everyday lives and we all deserve to be clean in a fashionable way. Nothing better than a nice bath/shower after a long days work or even a night on the town.